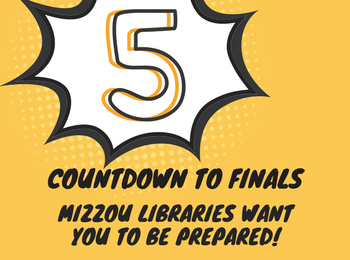 You can find bluebooks and other supplies at the Mizzou Store if the library vending machine runs out. Staplers are located near each set of printers in Ellis Library, but please be gentle! If a stapler runs out or jams, take it to the Research Help and Information Desk immediately. Along with providing research help, our librarians are skilled stapler surgeons. Finals are a week away, and Mizzou Libraries wants to help you be prepared. Check this post every day this week for tips on getting ready for your exams using library resources and services. Reserve group study rooms in Ellis Library or the Engineering and Journalism libraries. Study rooms fill up fast but can be reserved in advance. Download PrintAnywhere. Software for each printing site must be downloaded separately. If you’ll be in the library, install those printers on your device now. Request books from MERLIN and MOBIUS. This is not an overnight service, so give books you need time to arrive. Print your poster. Ellis Library’s plotter printer is in high demand at the end of the year. Skip the lines by finishing early. 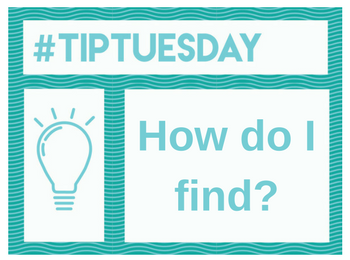 home Resources and Services #TipTuesday: How Do I Find? #TipTuesday: How Do I Find? Looking for something specific? Try the library’s How Do I Find? page available here or on the library home page under Looking For. This page will tell you how to find different things in the library from career information to children’s books. Whether you’re looking for data sets or DVDs, check the How Do I Find? page to get a quick answer. 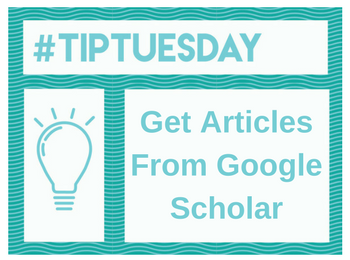 TAGS: #TipTuesday How Do I Find?